This painting (pictured) has been among our family possessions for almost 70 years. It hung in a prominent place in our home in its black and gold frame and was much admired. My father, John Wall, told us when we were children that the man in the painting was his grandfather but as his own father had died when he was only 10 years old, little was known of his grandfather except his name. The publication of the second edition of Hubert Gallwey’s ‘The Wall Family in Ireland’ prompted me to research our family tree as we were always told that we were descended from the ‘Walls of Coolnamuck’. 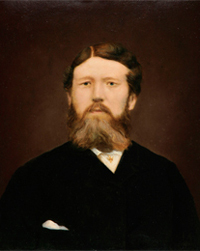 The research revealed that the man in the painting is indeed my great grandfather, John Wall (1844-1896). He was a successful boot and shoemaker who lived and worked in Main Street, Carrick-on-Suir which is near Coolnamuck. 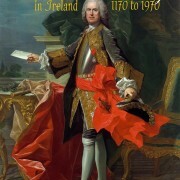 He was married to Esther Drohan from the prominent Drohan family in Carrick. They had one son, my grandfather, James John Wall and two daughters, Ellen Joe (Married name Conroy) and Mary Elizabeth Wall, who was professed as a nun in 1890 but died at the early age of 21. The new edition of the Wall Family in Ireland may encourage you to research your family tree and maybe trace Wall ancestors descended from this distinguished Norman family.